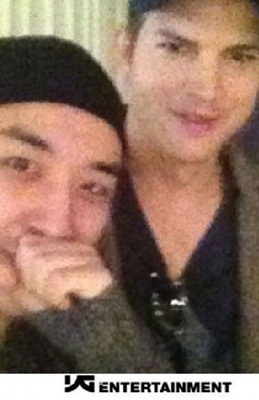 Big Bang‘s Seungri has recently taken a selca with Hollywood actor, Ashton Kutcher. On an online community forum, a recent post was made with the title, “Big Bang’s Seungri with Ashton Kutcher,” along with a photo. It turns out that Seungri was dining in a restaurant in LA, California and Ashton Kutcher was in the table right next to him. In the photo, the two stars stood close together. Both are smiling toward the camera and showed off their handsome looks. 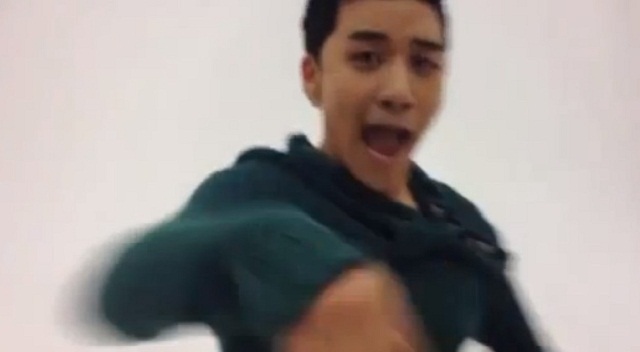 Netizens commented that Seungri looked a little nervous because he was covering his mouth with his hands. Netizens commented, “Seungri looks shy,” “Seungri looks like he is nervous to see a celebrity,” “It’s good to hear about Seungri,” “I can’t believe he took a picture of Ashton Kutcher,” “It’s unfortunate that the quality is so bad,” “Seungri looks like a female fan,” and more. Meanwhile, Big Bang will be throwing a concert in Japan on November 23 to November 24.